You may have seen Mind Performance Coach, Simon Fitchett, over the years, staying close to his driver, as he continues to prepare them for the race. Acting as a driver’s right hand man, Simon ensures that they reach their peak performance, both physically and mentally each race weekend. Simon Fitchett’s passion for competition began at an early age. Reaching international level in Rowing and after training with Olympic athletes, Simon later put his knowledge to good use; since then he’s been working behind the scenes in one of the most unpredictable of sports – Motor Racing. 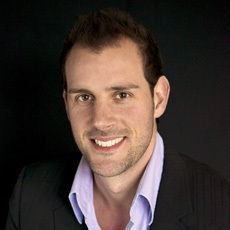 A trained Clinical Hypnotherapist, Psychotherapist and Personal Trainer, there is seemingly no end to this man’s talents. Regarded as one of the world’s best in his field, Simon’s rise to the top has been courtesy of his motto ‘never give up’. Having worked with the likes of David Coulthard, Jerome d’Ambrosio and, most recently, Sergio Perez, Simon has made the decision to leave Formula 1 for an experience far from the what he has become accustomed to. Simon took time out of his incredibly busy schedule to speak to ‘stoodonthepodium’ editor, Katie Grimmett, about his motto, what it is like to work in Motorsport and how his work can be applied every day. Katie Grimmett: I would like to start by congratulating yourself and Sergio on your three podiums, you must be thrilled? Simon Fitchett: Thank you, yes it was a great season and I felt proud to have been able to be a part of it and contribute towards it. KG: The list of drivers you have worked with is impressive. Have you stayed in touch with any of them? SF: Yes of course, I worked with DC again this year in DTM and we have always stayed in contact, and catch up whenever time allows. I am also in touch with Jerome and again we still catch up in the UK when he is around. KG: What was it like working with David? SF: I spent four fantastic years with DC in F1 and was able to add a fifth working with him this season in DTM, so we both know each other well and are close friends. It is always a pleasure working with him. Right from the start we always had mutual respect and trust; that is sadly very tough to find in F1. KG: Speaking of respect, have you ever been star struck? It must be a perk of the job? SF: I honestly haven’t, I think it is because of what I do. Being a psychotherapist, I see people for who they are not what they are. I can see through anyone within seconds, through what I have studied, and have to when working in the clinic, so what they are or do is superficial to that of who they actually are as a person. KG: You recently announced an interesting career move taking you away from Formula 1 and into a separate field of Motorsport, what promoted this decision? have the same close friendship with any other driver. I have worked with Jerome and Checo who are at the beginning of their careers, and although I have a great friendship with them, they are a lot younger than me so it was different. I now honestly feel that with the experience I have and what I do, I will be better placed working with drivers who dream of reaching F1, who listen, who work on themselves in the correct way mentally and physically and whose egos have not yet taken over. I am in NO way referring to anyone I have worked with by that statement, but it is very well known that F1 has a lot of big egos and I prefer to be in a environment where these are not in control. I personally will feel far more fulfilled and satisfied being able to help someone reach their main goal or dream rather than working with someone already having achieved it or living it. I also want to travel less and have more time for myself, my family and my friends. KG: You are now Performance Director at GT Academy. I find it interesting how you are turning gamers into professional racers. For the readers of ‘stoodonthepodium’ who do not know, could you explain what this new job entails? SF: What my job entails would take a few pages! However, in a nutshell, I ensure that the driver is at his peak both physically and mentally before the season starts and during. We train during the season and, if needed, work on things on a mental level ready for the next races. I look after their diet to check that they are eating correctly. I prepare and manage all of their kit, set up the treatment room and am always around to help with media commitments and meetings. In a way I am like a right hand man who is always there to help in any way that is needed. I would over a year spend more time with the driver than anyone else. KG: So from your experience, would you suggest that the required level of fitness in Motorsport has changed? Is the sport more physical than it used to be? SF: In all honesty the cars 15 or more years ago were more physically demanding to drive as they lacked power steering, and other factors, although nowadays the neck is under greater physical demand due to the cornering speeds reached as well as a greater need for core stability. KG: Whilst we’re on that topic, some readers would like to know: is there a set amount of time that you suggest drivers train for? If so, how long is this? SF: There is no real set amount of time a driver should train for each day, it really depends on what program they are doing and what type of training. An hour or two of base fitness training is sufficient, strength training could last an hour as could a strength endurance session or speed agility. I would tend to do two sessions each day when time allows, a base endurance session followed but something shorter but more intense. During the season it is very difficult to have continuity especially when the races are back to back as there is no recovery time so during the season it is all about maintaining what you have and recharging energy levels. KG: For Sergio, 2013 will mark a crucial point in his career. As you’ll be aware the step up from Sauber to McLaren will be testing. Does the level of fitness required differ between each team? SF: A driver should be at their peak level of fitness regardless of what team they drive for. If they are not then they will not be performing at their optimum, and if they are not performing at their optimum then they are letting themselves down as well as the team. Providing Sergio maintains his optimum fitness level he will have no physical issues stepping into the Mclaren. They also have fantastic physios there, who I know well, so there will be no chance of him not being at his optimum. KG: Does this alter the training techniques used both physical and mental? SF: Every physio has their own program, which they will work through with their drivers. I would say they would all be quite similar because as well as being extremely fit, there are specific programs that need to be completed to withstand everything an F1 car throws at you. The mental training depends on the individual, their character, their background/childhood, past experiences, the list goes on. I cannot answer for other drivers in terms of what they did mentally, they may have done things outside of F1, but I was the only qualified mental coach in F1. KG: How much weight do drivers lose between an average Grand Prix? SF: It will depend on the track and ambient temperature. 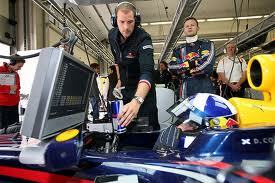 For example in either Singapore, or Malaysia a driver can lose upto 3-4kilos in a race. SF: A driver must be fully hydrated before the race so they will take on plenty of fluids from the moring of the race up until the race itself. The body during the race will perspire to try to control the body’s temperature and due to the humidity they will lose more fluid. That is why after the race it is essential that they rehydrate immediately, then the weight would obviously return to normal. They do not lose body fat, they lose body fluids. KG: How do you stop this from affecting the health of the driver? SF: Keep them extremely well hydrated with fluids that contain all the right electrolytes and minerals. KG: Constant travelling is a part of the job for many in sport. Travelling can be exhausting especially if the flight is long haul. How do you cope with jet lag? SF: Everyone has their own ways of dealing with jet lag. Some will start trying to switch to the other time zone a couple of days before going, but for me I just make sure we arrive at the destination at least 3 days before heading to the track so that we can adjust to the time zone. Of course depending on when the flight arrives and when you leave it is best to get as much rest on the flight as possible if you arrive early in the morning. If you arrive late at night then try not to sleep on the flight so you are tired when you arrive and can sleep. KG: Let’s now move away from the physical side of the sport and into the mental part. This is particularly important for young racers who have to deal with immense pressure week on week. How do you mentally prepare a driver for a race weekend? SF: The mental side is far, far more important than the physical side. Anyone if they train hard enough can be fit, that’s the easy part. The mental side is a whole different ball game! I have developed my own methods of training mentally for the stresses, expectations and demands of F1. How to prepare will depend on the driver and what issues or fears they may have or levels of stress. To work on any issues requires the driver to want to work on them. KG: Is this preparation different at a home Grand Prix or at a race where home fans are often present? For example, I remember seeing Jerome being hounded at his home GP in Spa. SF: It can be different again; it depends on the individual and what is going on. Yes there can be far more attention at a home GP which therefore generates more exposure and attention which can distract a driver, equally it may not. It depends on the individual so you can never predict, its about talking about it and then reacting to that conversation and carrying out what is needed to eradicate whatever it is that needs dealing with. KG: You’re known for your use of the phrase ‘never give up‘ which is applicable, not just to sport but to life generally. How integral has this been in supporting your drivers and their race preparation? SF: Never giving up is an essential part of life! We should all have a strong self-belief. Self-belief comes from inside us and we should never let it be affected by outside influences. Self-belief should overflow into our every action, and we should never doubt from what comes from within us! I strongly believe in what you project is what you attract. Being negative, or not believing in yourself, is something we can all avoid with a little work on ourselves. Those who are negative and always look for negatives are sure to find it everywhere and are the people who are always down or are easily jealous of others who are successful. KG: So as we prepare ourselves for what is sure to be an amazing year for sport, what is your advice to those who hope to increase their levels of exercise, fitness and health? SF: Set yourself a realistic target and go for it. Never give up until you reach that target. And when you do reach that target you will see how empowering it is. KG: Many people start with great intentions then the year begins and motivation is hard to sustain. Do you have any advice? SF: Listen to the negativity in that question, haha! Why is the motivation hard to sustain? It only is if you say it is 🙂 It will only be difficult to sustain if you allow things to make it difficult. It really is so simple to stick to reaching a realistic goal, just do it and don’t let anything make it difficult to sustain. KG: You have helped many drivers and members of the public stay at the fittest and healthiest – do you have a Personal Trainer of your own? SF: With the job I do, training with the driver, I am not the type to stand and bark orders, I will do everything the driver does so it helps me to stay in shape. Due to my size, long flights, past injuries and lack of time for treatment it can be a battle for me sometimes, but it is just about making the most of the time I do have to keep on top of everything I need to. I don’t have my own personal trainer no but when I am home I train with my best friend when we can or I train alone. KG: As you leave Formula 1 for the GT Academy, what will be your most memorable moments? SF: I have so many memorable moments but my most memorable are the two podiums with DC in 2005 and 2008 and the 3 podiums with Checo in 2012. 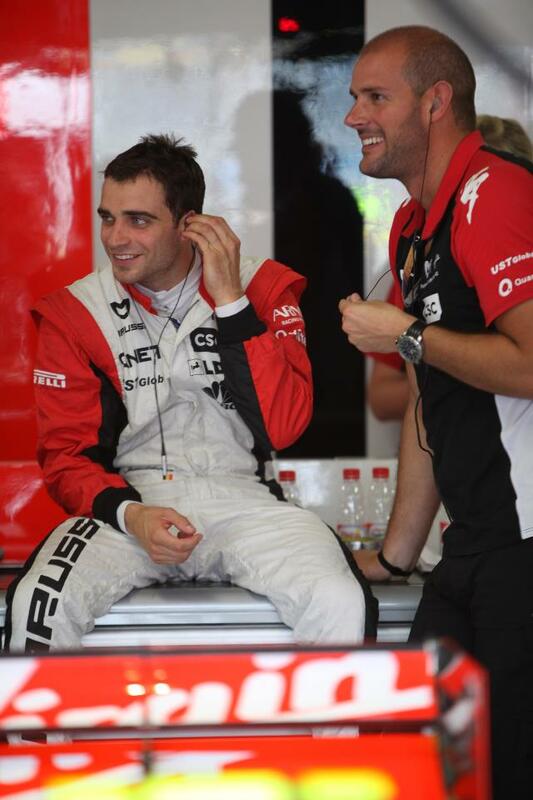 Simon is currently working as a Performance Director for GT Academy. The academy offers championship gamers the opportunity to compete for a chance to drive a racing car in Dubai. ITV4 covered last year’s search for a gamer turned racer. These episodes can be found on the ITV Player and on YouTube. Images courtesy of Simon Fitchett. « Red Bull’s evolution – can it continue?